The Paula Carr Diabetes Trust has given a boost to people who have recently been diagnosed with diabetes by offering them a new patient information pack. The packs will be distributed by the charity free of charge and are available to all GP surgeries and patients with diabetes across Kent and Medway. 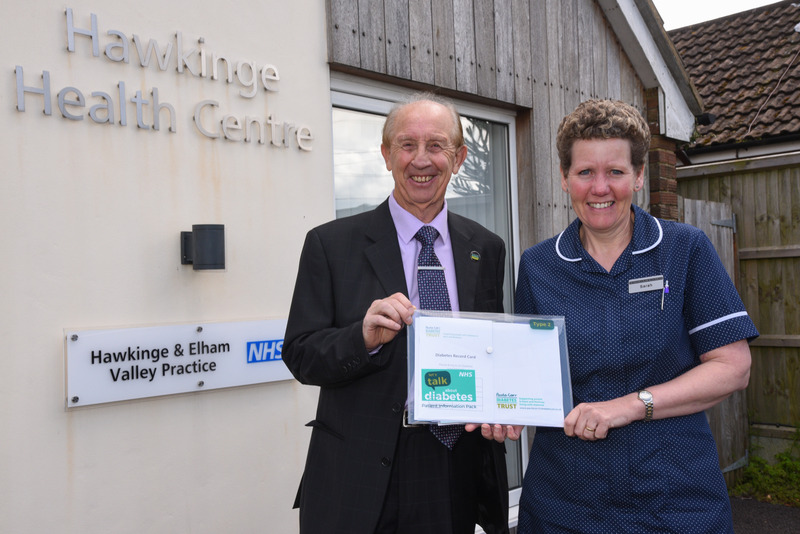 Pictured here at taking delivery of the new packs at Hawkinge Health Centre is practice diabetes specialist nurse Sarah Deans with Gary Fagg, chairman of the Paula Carr Diabetes Trust. The packs include a diabetes record card that patients can take to their appointments and help them keep track of how they’re managing their condition. To request a pack contact your GP surgery or click here to order online.